The Oxford Fintech Programme from Saïd Business School, University of Oxford, aims to equip participants with the knowledge, tools, expertise, and network to create meaningful change in the shifting financial technology landscape. During the ten weeks of the programme, participants are empowered to capitalise on future business trends and seize the plethora of emerging opportunities in the worlds of fintech, regtech and proptech. To achieve this goal, Oxford Saïd has enlisted a group of powerful, successful businesspeople and world-renowned academics to construct the Oxford Fintech Programme, and to help guide participants as they navigate the content of each module. These subject matter experts from Oxford Saïd guide the programme design and appear in a number of programme videos, along with a variety of industry professionals. 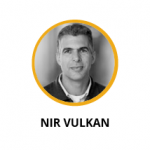 Nir Vulkan is Associate Professor of Business Economics at Saïd Business School and Fellow of Worcester College, both at the University of Oxford. He is a leading authority on e-commerce, market design, applied research, and teaching on hedge funds. 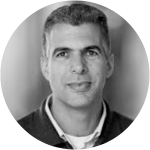 Nir is author of one of the leading texts on the microeconomics of e-commerce, The Economics of E-Commerce: A Strategic Guide to Understanding and Designing the Online Marketplace. More recently, Nir has edited, with Al Roth and Zvika Neeman, The Handbook of Market Design. He is particularly interested in how lessons from successful and unsuccessful markets can be learned and transferred to different environments. Nir did a BSc in Mathematics and Computer Science at Tel Aviv University and gained a doctorate in Economics at University College, London, where he was awarded the Dean Scholarship for excellence in PhD studies. He became a Lecturer at Bristol University in 1997, and in 2001 moved to Saïd Business School. He was the Director of the Oxford Centre for Entrepreneurship and Innovation (OxCEI) and the co-founder and Director of OxLab, a laboratory for social science experiments, both at Saїd Business School. 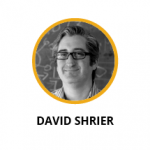 David Shrier is an Associate Fellow at Saïd Business School, University of Oxford, and a Lecturer & Futurist at the Massachusetts Institute of Technology’s famed MIT Media Lab, where he previously was Managing Director of MIT Connection Science, and New Ventures Officer at MIT Sloan. 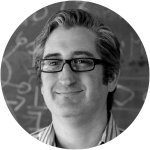 David is the founder & CEO of Distilled Analytics and Chairman of Riff Learning. He specializes in helping established organizations to build new revenue, having developed $8.5 billion of growth opportunities with C-suite executives for Dun & Bradstreet, Wolters Kluwer, Ernst & Young, GE, The Walt Disney Company, AOL Verizon, and Starwood, as well as leading private equity and VC funds. He has led a number of private equity and venture capital-backed companies as CEO, CFO or COO. David and MIT Professor Alex Pentland have published books including Frontiers of Financial Technology, (with Howie Shrobe) New Solutions for Cybersecurity, and (with Thomas Hardjono) Trust::Data. He also co-edits, together with Professor Pentland, the Connection Science imprint of MIT Press. David Shrier was granted a BSc from Brown University in Biology and Theatre, and worked professionally as a dramaturg and director after college. You’ll learn from global experts and industry pioneers, who will share their experience and in-depth subject knowledge with you throughout the course, via video lectures and interviews. These Instructors contribute to the programme by providing case studies and industry-specific content and information. 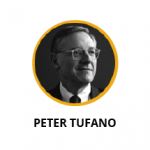 Peter Tufano is the Peter Moores Dean and Professor of Finance at Saïd Business School since 2011 and a Professorial Fellow at Balliol College, University of Oxford. He is a prolific scholar and course developer, a seasoned academic leader, a social entrepreneur, and an advisor to business and government leaders. His research and course development focus on mutual funds, corporate financial engineering, and consumer finance. Peter is also a social entrepreneur. In 2000, he founded, and now chairs, a non-profit called Commonwealth (formally Doorways to Dreams Fund). This organisation works with partners to help low-income households successfully manage their financial needs. Peter’s research on consumer finance, and the work of Commonwealth, contributed to the passage of the American Savings Promotion Act in December 2014, which removed federal barriers to sale of prize-linked savings products in the US. Prior to joining Oxford, Peter was a faculty member at the Harvard Business School for 22 years. During this time, he assumed a number of leadership roles, serving as department chair, course head, and Senior Associate Dean. He oversaw the school’s tenure and promotion processes, campus planning, and advised the University on financial and real estate matters. He was also the founding co-chair of the Harvard innovation lab (i-lab), a cross-university initiative to foster entrepreneurship. 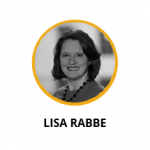 Lisa Rabbe is a globally recognised expert on financial regulation and regtech. She’s the founder and CEO of Stratosphere Advisors Limited, a political risk and public policy consultancy, and of Stratosphere Analytics LLC, a regtech startup. The Stratosphere group companies assess political, policy and regulatory changes, identifying risks and opportunities for fintech, regtech and other clients. Lisa is a founding member of the RegTech Council, which convenes financial regulators, regtech start ups and other stakeholders to facilitate common modes of connectivity between regtech suppliers and their clients. Prior to this, she was Managing Director and Head of Public Policy for the Europe, Middle East and Africa (EMEA) region for Credit Suisse, and Managing Director and Head of Government Affairs in the EMEA region for Goldman Sachs International. She has been recognised by Financial News in its “100 Most Influential Women in Finance” list from 2010-2015, and holds a BA in Government from Dartmouth College. 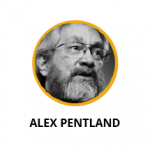 Alex Pentland is a Visiting Professor of Management Science at Saïd Business School, University of Oxford, and holds a triple appointment at the Massachusetts Institute of Technology (MIT). He also directs MIT’s Connect Science initiative, the Human Dynamics Laboratory and the MIT Media Lab Entrepreneurship Program. Sandy has been a member of the Advisory Boards for Google, Nissan, Telefonica, Tencent, and a variety of start-up firms, and for several years he co-led the World Economic Forum Big Data and Personal Data initiatives. Sandy was named by the Secretary-General of the United Nations to the Independent Expert Advisory Group on the Data Revolution for Sustainable Development. He recently led a task force on big data & healthcare for the World Innovation Summit in Healthcare, held in Doha, Qatar. In 2012, Forbes named Sandy one of the “seven most powerful data scientists in the world”, along with the founders of Google and the CTO of the United States, and in 2013 he won the McKinsey Award from Harvard Business Review. Professor Pentland’s books include Honest Signals and Social Physics. Sandy holds a BGS from the University of Michigan and a PhD from MIT. Ajay Bhalla is the President of Global Enterprise Risk and Security at MasterCard, and is responsible for delivering advanced, scalable technologies and developing the strategy to secure future payment innovations. He has pioneered the development and use of biometrics in payments, with the creation of Identity Check, and provided contactless technology and financial inclusion solutions in 14 Asian markets. Karen Kerrigan is the Chief Legal Officer at Seedrs, a world-leading equity crowdfunding platform, and the first of its kind to receive regulatory approval. She acts not only as General Counsel but also heads up the legal, compliance, finance, audit administrative and HR functions. With the UK Crowdfunding Association, Karen leads the regulatory workstream and regularly engages in lobbying work with the FCA, HMT and the European Commission. Nick Ogden is the Executive Chairman at ClearBank, and is a renowned fintech entrepreneur. 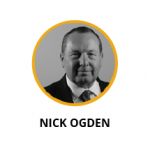 An IT and finance industry veteran, Nick has previously held roles as the Founder and CEO of WorldPlay, CEO of the Voice Commerce Group, Chairman of Stockomendation Ltd, and CEO of Business.co.uk. 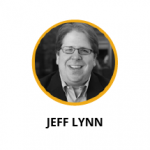 Jeff Lynn is the Executive Chairman and Co-founder of Seedrs, one of the world’s leading equity crowdfunding platforms and the first of its kind to receive regulatory approval, and a Founding Chairman of the Coalition for a Digital Economy (Coadec), which advocates on behalf of SME’s and startups on policy and regulation challenges. Jeff also has an MBA from Saïd Business School, University of Oxford. Ready to take the opportunity to learn from these industry-leading global business giants? Register now for the ten-week Oxford Fintech Programme.